Kartik Aaryan and Kriti Sanon have started shooting for their next film Luka Chuppi. Kartik and Kriti shared the same photo from the sets of their film on their respective Instagram accounts, where the actors can be seen sharing a light moment with each other. Kartik Aaryan captioned the photo: "And Luka Chuppistarts, Day 1." The photo shared by the actors speaks a lot about the onscreen rapport that we are to witness in the theatres soon. Kartik Aaryan and Kriti Sanon are currently in Gwalior (as per their Instagram stories), where they are shooting the first schedule of the film.Luka Chuppi is being directed by Laxman Uthekar, who was the Director of Photography for Irrfan Khan's 2017 film Hindi Medium and has helmed two Marathi films earlier. This is the first time Kriti Sanon and Kartik Aaryan have collaborated for a project. 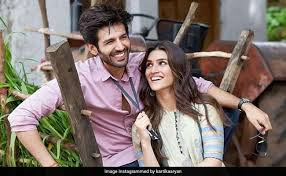 In Luka Chuppi, Kartik Aaryan plays a journalist while Kriti will be seen playing the role of a strong-headed girl from Mathura. 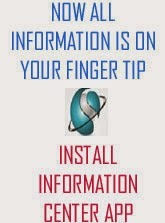 The official announcement of the film was made on social media last month. Meanwhile, Kriti Sanon, who celebrated her 28th birthday last week, returned to Mumbai after shooting Housefull 4 in London recently. The actress will also be seen in Ashutosh Gowariker's Panipat, which goes on floors in November. She is also part of Dharma Productions film Kalank, which stars Sanjay Dutt, Madhuri Dixit, Aditya Roy Kapur, Sonakshi Sinha, Alia Bhatt and Varun Dhawan. Kriti was last seen in 2017's Bareilly Ki Barfi. So far, it has been a wonderful year for Kartik Aaryan, who kick started 2018 with blockbuster film Sonu Ke Titu Ki Sweety. Kartik has reportedly been approached with the third installment of Pyar Ka Punchnama and is likely to feature with Amitabh Bachchan in Aankhen 2. The actor has reportedly been approached by Sanjay Leela Bhansali for a romantic film.